For the past 20 years I’ve been spending my time pushing photos around then I graduated to an even larger object, the pixel. But after so many years of it, I felt I had nothing to show for it. All that I had learned was almost outdated as soon as I learned it. I was always having to learn more and I felt I was getting less done. As a home owner I know the ins & outs of having to fix the odd bit around the house. But not only did it not only felt like i was running an uphill battle there as well, but the material was often wood. Wood did not like me much. Oh well the feeling was mutual. So I always dismissed building by hand as an option for me. Then I came across Chris Bathgate. Here was an artist who revelled in the exactness of metal and it’s physical qualities. Check out the step by step pics on how he creates: HERE. 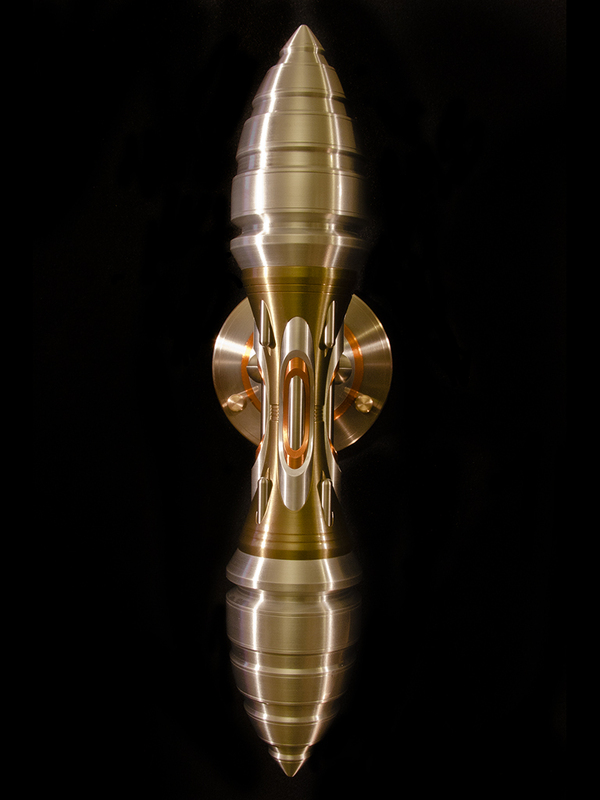 This entry was posted in Artist, Inspiration, Machining. Bookmark the permalink.